Creating and sharing information online is the most efficient way to both attract targeted audiences and build a credible brand all at once! Search Engine Optimization (SEO) is only part of the equation when it comes to today’s artificially intelligent search algorithms. Our Content Marketing strategies include planning, creating and distributing information in places that help build targeted interest. Every new content piece released helps create a new path to your website. But where you place your path and how you build it makes a world of difference! Informational content is king! With studies indicating that 80 percent of all search queries online are for informational purposes – it’s clear that businesses need to be creating informational content to be optimized and indexed for search engines. METHODIC’s Search Marketing packages are designed to help build a brand’s credibility as an informational source for their industry. Navigational content is more fitting towards users who aren’t necessarily searching for a product or company to purchase from. These user types are most often found browsing entertaining or relate-able content on social media platforms. METHODIC’s Social Marketing packages are designed to help build targeted audiences most interested and willing to share your information. 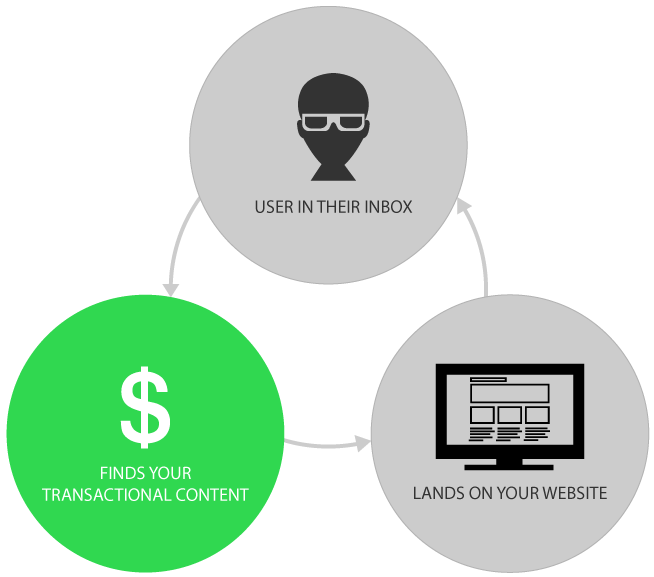 Transactional content is best placed where users intend or plan to make a purchase. We strategically identify these ideal users and make it easy for them to quickly join your mailing list for ongoing engagement. METHODIC’s Email Marketing packages are designed to help you promote your business’s goods or services directly to those most interested in your business. Publishing highly optimized Search Engine Content is the key to helping your business raise its rankings on search engines such as Google and Bing. METHODIC ensures that every piece of content released serves the purpose of positively impacting your search rankings. From optimized web pages to highly relevant blog articles, we will consistently publish quality informational content that will help establish your business as an authority in your field. Search engines love valuable content and will reward you handsomely for it – let METHODIC help you stay ahead of the curve. Our Search Marketing Launch Package includes industry’s best SEO practices for up to 5 site-wide keywords. We recommend this package for businesses just starting out and needing their website efficiently indexed on google and found across the internet on top sites, apps, and directories. We create 1 search optimized article for our client’s blog each month. Where we then routinely locate and reach out to industry related content promoters and subject experts for increasing content awareness and improving SEO juice! Our Search Marketing Influence Package includes industry’s best SEO practices for up to 10 site-wide keywords. We recommend this package for businesses who are already some-what established and being found through relevant online search queries. We create 2 search optimized articles for these types of client’s because they have an audience already demanding information. For each optimized article, we routinely locate and reach out to industry related content promoters and subject experts for building content awareness and additional SEO juice! 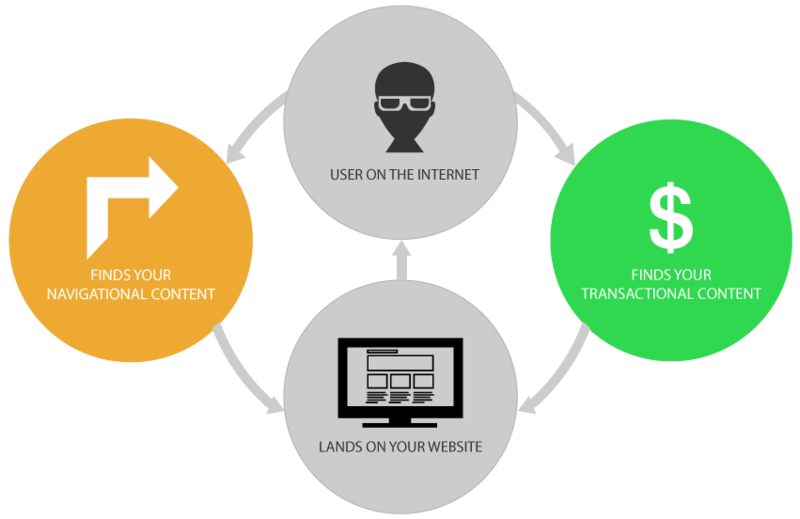 Our Search Marketing Authority Package includes industry’s best SEO practices for up to 15 site-wide keywords. We recommend this package for well established businesses with an existing loyal customer base. We create 2 search optimized articles for these types of client’s because they have an audience already demanding information and an online presence to uphold. For each optimized article, we routinely locate and reach out to industry related content promoters and subject experts for building content awareness and additional SEO juice! Social Media is one of the most powerful ways a company can grow its brand recognition while establishing itself as a reliable source of information in your industry. A partnership with METHODIC means that your business will consistently distribute a healthy amount of navigational and transactional content that will target and grow a loyal social following. Many business owners don’t have the time or energy to keep up with posting on just one social media platform; team up with us and expand your social content reach up to 6! Its time to reap the benefits of social media and METHODIC can get you there. Our Social Marketing Launch Package includes a minimum of 80 social posts per month. Our dedicated METHODIC team of experts will help you determine up to 4 social platforms that best reach your target audience. We then help post social content most likely to attract relevant content promoters who already have access to your target audience. Social relationships with relative content promoters help build even more paths of traffic to your business website. We recommend this package for businesses who still need to grow their social following. Our Social Marketing Influence Package includes a minimum of 160 social posts per month. Our dedicated METHODIC team of experts will help you determine up to 6 social platforms that best reach your target audience. We then help post social content most likely to attract relevant content promoters who already have access to your target audience. Social relationships with relevant content promoters help build even more paths of traffic to your business website. We recommend this package to businesses who already have a solid social audience of followers. Our Social Marketing Authority Package includes a minimum of 320 social posts per month. Our dedicated METHODIC team of experts will help you determine up to 6 social platforms that best reach your target audience. We then help post social content most likely to attract relevant content promoters who already have access to your target audience. We recommend this package to businesses who already have a large social following with active engagement. Great email content is one of the most valuable assets a business owner can possess to get sales in the digital world. Not only does high quality email content allow you to improve communication and build credibility with your audience, but it’s also a marketing avenue that allows you to present transactional content directly to people interested in buying your products or services. Publishing great email content is a great way to market with a personal touch and drive traffic to your website. Partner with METHODIC and let a team of experts help you do email the right way. Our Mass Email Launch Package includes custom forms and call-to-actions that entice website users to join your email list. Send an unlimited amount of emails while METHODIC helps manage 1 mass email campaign per month. We recommend this package to businesses who still need to build a loyal customer list. Pricing covers up to 500 recipients – an additional $10/month will be applied for every 500 additional recipients. Our Mass Email Influence Package includes custom forms and call-to-actions that entice website users to join your email list. Send an unlimited amount of emails while METHODIC helps manage 2 mass email campaigns per month plus an optional quarterly newsletter. We recommend this package to businesses who already have a small loyal customer list. Pricing covers up to 500 recipients – an additional $10/month will be applied for every 500 additional recipients. Our Mass Email Authority Package includes custom forms and call-to-actions that entice website users to join your email list. Send an unlimited amount of emails while METHODIC helps manage 3 mass email campaigns per month plus an optional quarterly newsletter. We recommend this package to businesses who already have large email lists of loyal customers. Pricing covers up to 500 recipients – an additional $10/month will be applied for every 500 additional recipients. Our on-boarding process begins with drafting what we call an Information Schematic. An Information Schematic allows us to organize your site-wide pages from a high-level view point to help us determine the optimal information hierarchy and page topics. After we know which pages we will focus on, a Keyword Research phase begins. This keyword research phase is critical in allowing us to uncover the perfect keywords and search phrases to optimize your web pages and search content for. Once we have our plan of action in place, we’ll then request any account information that we’ll need for updating and publishing content to your website. Our on-boarding process begins with collecting all account credentials for each social media account that you agree to have us manage. Once we have access, we’ll begin by making sure all business information on each platform is consistent and accurate with your messaging and branding. Once all social platforms are primed and ready, we begin posting social content! Our on-boarding process begins with collecting any account credentials that will be required in order for us to set up custom forms for automated email list building. We also help you determine what type of monthly campaign you want to run. We then build your custom email template completely branded with your business. We strategically design our templates to lead your recipients back to your website, and one step closer to increased conversions. Once all templates are ready, we begin organizing your monthly campaigns! Each month we research, plan, and create a brand new search engine optimized (SEO) article that both represents your business identity and attracts your targeted audience. Ultimately, we tie in current event topics with highly relevant search phrases that support our established site-wide keywords. We then gather as many contacts as possible from the sources of each SEO article, and attempt to establish a rapport with the subject matter experts – requesting feedback and recommendations. The strategy is not only to build a content article each month, but to continuously work on increasing the SEO Juice of each article. Every week we research, curate, and create social content to be posted at optimal times and frequencies for each social platform that we are managing. Each month we provide a content outline requesting specific information unique to your custom email template. Our content outline allows us to organize each specific message that needs to be within your unique mass email campaign. We then coordinate any visual creatives that can help enhance your messages and bring them to life. Once everything is put together, the campaign launch gets scheduled for your list of recipients to receive.